What is it about Hamlet that has made it such a compelling and vital work? 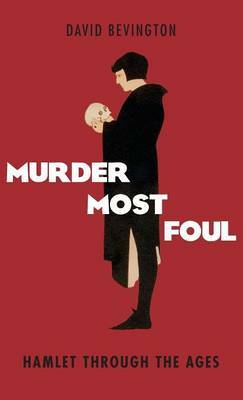 Murder Most Foul: Hamlet Through the Ages is an account of Shakespeare's great play from its sources in Scandinavian epic lore to the way it was performed and understood in his own day, and then how the play has fared down to the present: performances on stage, television, and in film, critical evaluations, publishing history, spinoffs, spoofs, musical adaptations, the play's growing reputation, its influence on writers and thinkers, and the ways in which it has shaped the very language we speak. The staging, criticism, and editing of Hamlet , David Bevington argues, go hand in hand over the centuries, to such a remarkable extent that the history of Hamlet can be seen as a kind of paradigm for the cultural history of the English-speaking world.